It has been a busy month for Quantum MA, setting up equipment and getting to know our new space at the King George V Fitness Centre at 3 Cumberland Street, The Rocks. The KGV Centre is opposite the YHA and The Australian Hotel, just down the road from the Shangri-La Hotel. We have commenced classes, and it is a great time to come and train – you will get lots of one on one attention from the Head Trainers. A number of students used the time before the June grading to get up to speed with syllabus. Pictured are some of the Northstar Ju Jitsu black belts and black belt candidates getting in some training before their grading. A big congratulations to all who graded last weekend. 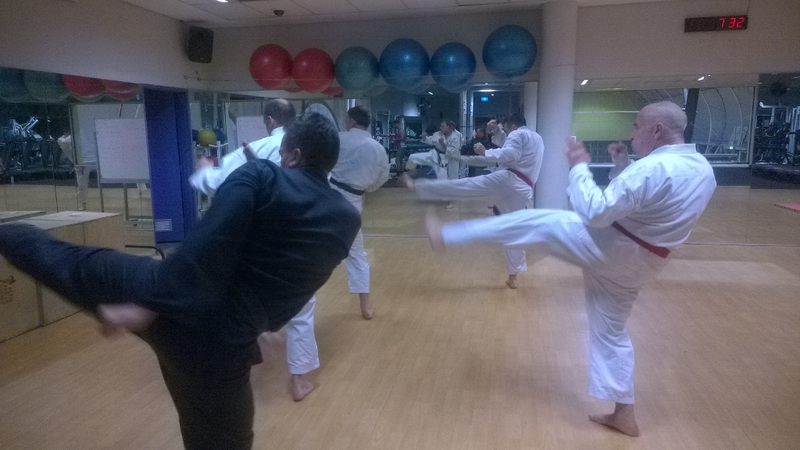 A number of friends of Quantum MA proceeded that next step on their martial arts journey and it was awesome to see the sweat, spirit and discipline they exhibited. Existing Northstar students are welcome to join us at Quantum at any time, as long as you have a Platinum (unlimited class) membership. Drop us a line at info@quantummartialarts.com.au, or at 8007 4100 to let us know you are coming and bring a friend or two along to train! Or just turn up!